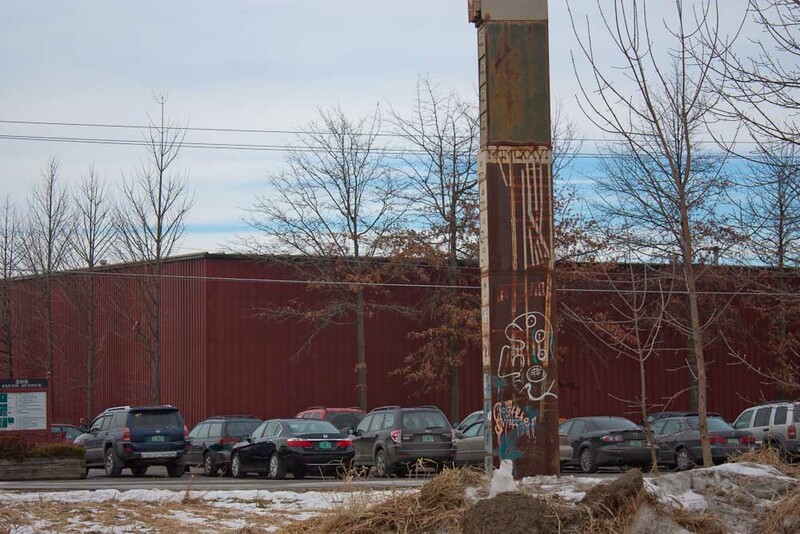 If there was ever a reason to visit the city of Burlington in the picturesque north-eastern US state of Vermont, it’s gotta be for the chance to see the world’s tallest filing cabinet. As it happened, I stayed in Burlington last night following a very pleasant couple of days in the state capital, Montpelier. Despite waking this morning with a throbbing hangover after getting awfully tipsy on Wolaver’s Coffee Porter while watching the Super Bowl at an Irish pub (go Seahawks! ), I couldn’t resist dropping by the colossal office-drawer tower to see it for myself. Thankfully it didn’t take long to sober up considering it was a chilly -7°C outside. It took me almost an hour to walk from my hotel to Flynn Avenue in the city’s south, where I finally caught a quick glimpse of the monument between the Foster and Briggs St turnoffs. My fingers were so numb from the cold by this stage that I could barely operate my camera, so I backtracked a little to the Pine Street Deli and warmed myself up with a cuppa. 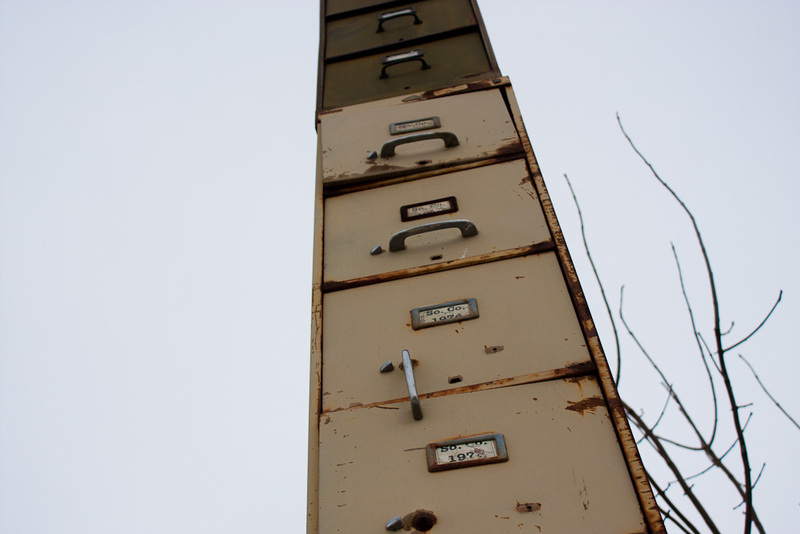 I was back out on the road 20 minutes later armed with warm fingers and feeling completely recovered from the previous night’s festivities, so here it is: the world’s tallest filing cabinet! There is no plaque or information on-hand at the site of the artwork, so it took a bit of investigation to discover the reason behind its existence. I found a great article at the Seven Days Vermont newspaper detailing its motive and the challenges faced during its erection. Basically, it was built in 2002 by local artist and architect, Bren Alvarez, who was frustrated with the length of time it was taking for the city to plan & construct a section of road known as the Champlain Parkway, which would ultimately connect Burlington with Interstate 189 and vastly improve traffic flow. 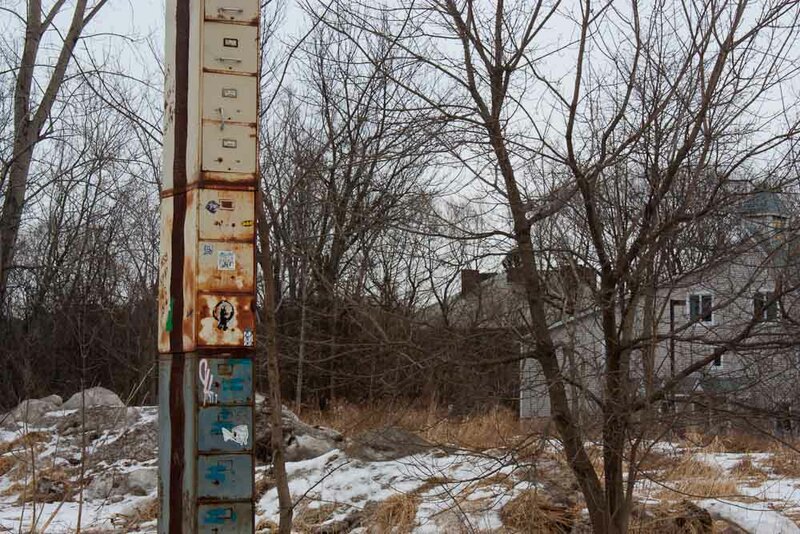 Such was the delay that Alvarez assembled 38 vertically-stacked filing cabinets (one to represent each year since the plan was formulated) and plonked them right in the centre of where the proposed Southern Connector would be built, as a satirical reminder of the project’s drawn-out bureaucracy. 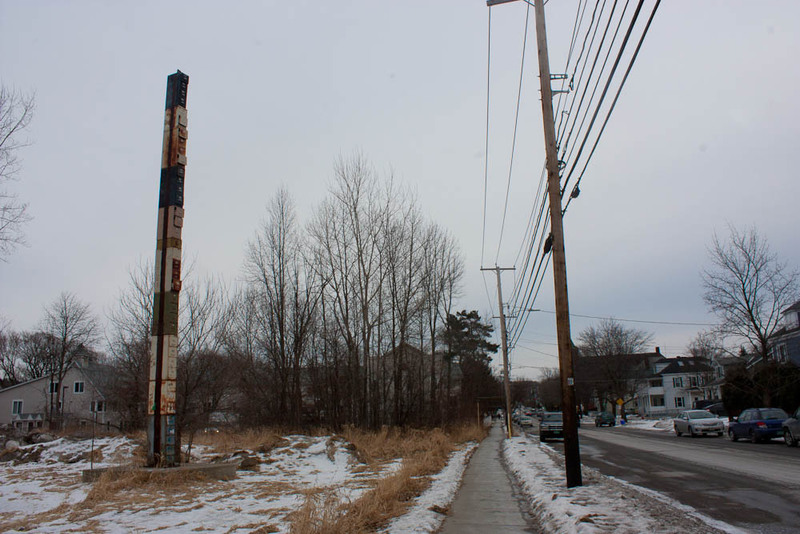 More than a decade since the completion of the artwork, and construction on the Champlain Parkway still hasn’t begun! 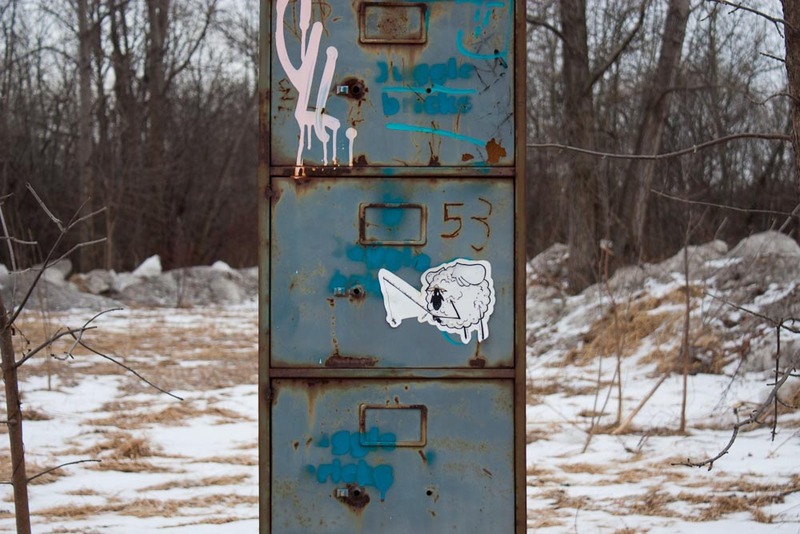 These days the world’s tallest filing cabinet appears a little rusty and graffitied from years of being out in the elements, but that only adds to its cause – Bren Alvarez’s crazy artistic idea remains on display after all this time because of his local council’s failure to deliver. 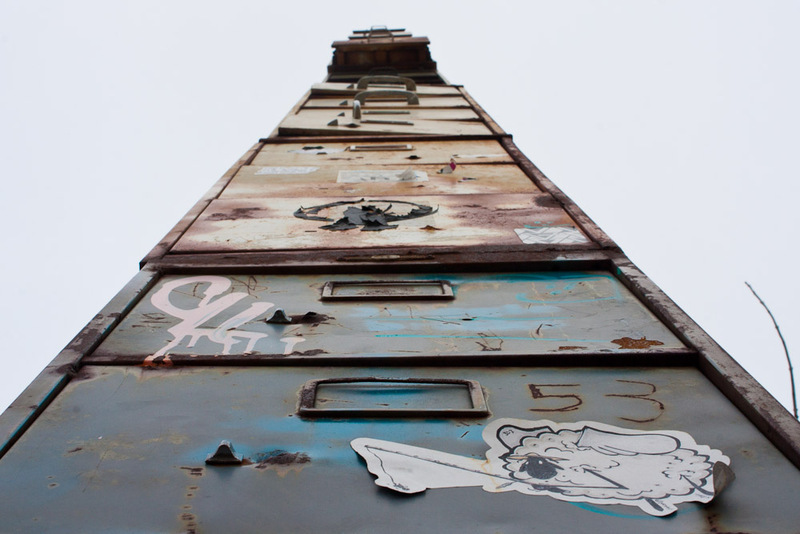 Note: there is actually another claim for the world’s tallest filing cabinet, by artist Samuel Yates of Napa, CA. However, the monument in Burlington is still widely known as the world’s tallest. This entry was posted on Monday, February 3rd, 2014 at 10:10 pm	and is filed under Blog, Travel, United States. You can follow any responses to this entry through the RSS 2.0 feed. You can skip to the end and leave a response. Pinging is currently not allowed.